LSW Lighting provides quality service, creative solutions, and opportunities for growth for our manufacturers, customers, employees, and the community in which we reside. We are committed to excellence, which we strive to achieve by focusing on honesty, integrity, education, and attention to detail. LSW Lighting is a full service Canadian lighting agency headquartered in Edmonton, Alberta. It has become one of the fastest growing sales and marketing agencies in the province. We are in the business of bringing ideas to fruition with lighting design, product, and customer service that exceeds expectation.  LSW Lighting was founded in 2012 when Dean Lind, Patrick Skolski, and Colin Wright merged their respective agencies (Advantage Lighting and Focus Lighting) together, allowing them to represent the finest manufacturers that specialize in commercial, industrial, and architectural lighting products. We constantly make time to LEARN, invest in learning, and we invite you to come to our state of the art office and learn more – so you can see what we know – because we share! We are HONEST, and give honest answers, we promise not to hurt your feelings – but you need to know what’s what. We are all about SUSTAINING this planet that we live on. Every day our products are getting better and lasting longer, and so we have made that same commitment to the Earth, by incorporating recycling programs, using natural light, and of course using the energy efficient lamps that we sell.